Louisville is one of the oldest cities west of the Appalachian mountains, founded in 1778 by then Col. George Rogers Clark. As cities sprang up across the west, churches were built in abundance to take care of the spiritual needs of the new settlers. 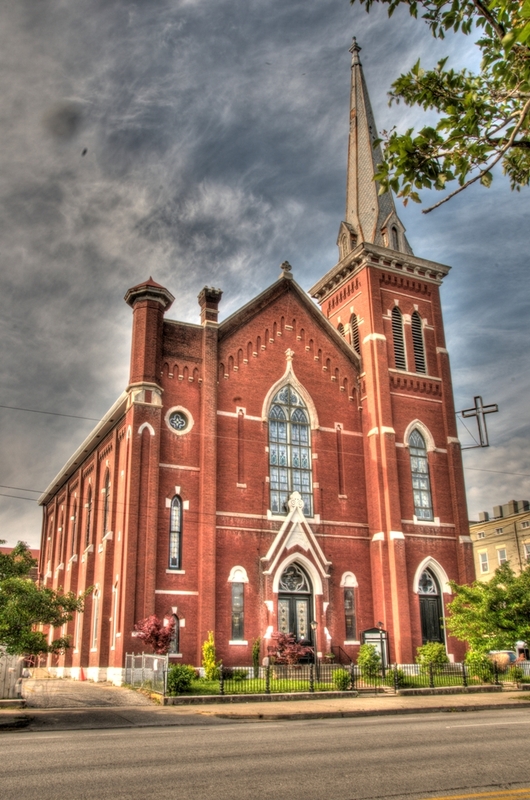 Louisville has an abundance of beautiful churches dating back to the mid 1800's and in this photographic series we will document many historic and architecturally significant places of worship around our wonderful city. Louisville home owners will be enjoying more than just the spring weather over the next couple weeks. The Kentucky Derby Festival is under way, and the dizzying array of amazing events will have us Louisvillians—and our many out-of-town guests—stepping out to enjoy the fun. Last weekend’s big event, Thunder Over Louisville, set the tone for the coming three weeks of events and activities designed to delight folks of every background, with every interest, and from every walk of life. After weeks of balmy, beautiful weather, last Saturday took a surprising turn with temperatures in the low 50’s and winds that made it feel even colder. But that didn’t keep the 405,000 people who braved the weather from enjoying the air show and fireworks. Because of the low cloud cover, the originally planned air show was curtailed slightly, but even with these adjustments, nearly 90 aircraft displayed their power and speed with aerial acrobatic stunts that wowed the crowd. Of course, the highlight of the evening was the magnificent fireworks display. This year’s theme was “A Star Spangled Blast,” and the spectacular light show was set to an eclectic musical backdrop that included songs popular during American wars as well as anti-war tunes, and from George W. Bush’s words and lyrics from Lady Gaga mixed in. Nearly 70 tons of fireworks were launched from the Clark Memorial Bridge to the amazed oohs and aahs from crowds on both sides of the river. But Thunder is just one of the big events that makes up the Kentucky Derby Festival which will culminate in this year’s Run for the Roses on Derby Day, May 5. Other big attractions include the Hole-In-One Golf Contest and Pro-Am Tournament, the Fillies Derby Ball, Fest-a-Ville Concerts, Chow Wagons, Great Balloon Race, Mini-Marathon, Steamboat Race, Pegasus Parade, and the Kentucky Oaks. Some silly events are thrown in to show our crazy side, like the Bed Races and Run for the Rosé, but Louisville also takes time during the festival to show its more serious, civic-minded side by doing volunteer work during the Mayor’s Week of Service. Naturally, these are only a few of the many Derby Festival events that captivate our city and attract so many visitors to town. Although the Brad Long team will be working hard match those looking for a new residence in Derby City with the perfect home this spring, we’ll be joining many Louisville home owners by stepping out to enjoy many of the Derby Festival events. What a great time to live in Louisville! 04/25/2012 Kentucky Derby Festival "Taste of Derby Festival"
From the talented group that brought you Basa on Frankfort and Doc Crow’s on Main Street comes the latest addition to the fast growing foodie scene in Louisville’s NULU area. La Coop Bistro a Vins. Set to open Tuesday April 24 at 732 E. Market Street ( formerly 732 Social). This new concept restaurant designed by Brett Davis, Michael and Steven Ton and Chip Hamm transports you to Paris. From the moment you walk in the door, you are greeted with the aroma of French cooking and a cozy, intimate atmosphere. You will want to settle in for the evening. The French country menu includes such favorites as onion soup smothered in Gruyere cheese, escargot and cog a vin. The wine list is stellar and eclectic and the cocktails are lovely and very French. Surprisingly affordable with the most expensive item on the menu costing $20. Bobby Benjamin ( Oak Room ) is the executive chef along with Michael Ton ( Basa and Doc Crow’s). They developed the menu for La Coop. No detail has been overlooked in the décor. From the adorable chicken wire lining the inside of the bar cabinets to the waiter’s striped aprons to the light fixtures encased in cages, the name La Coop( Chicken coop referring to the limited space in the restaurant) is represented well. The color scheme is warm and inviting with tan and black tones and a refreshing splash of citrus green on the barstools. There will be al fresco seating on the sidewalk lining E. Market. Thank you Kelly Valenti for your observations on this exciting new dining spot. Louisville real estate has rebounded from the effects of the housing bust that lowered home prices and triggered a national recession. In fact, in February members of the Greater Louisville Association of Realtors sold 26 percent more houses and condominiums than they did a year ago at this time, and February marked the eighth straight month in a row of higher sales figures. Just what accounts for the increases in home purchases? Analysts believe that the dual forces of stronger consumer confidence in the economy and the improving job market are propelling the recovery. Certainly, no one is ready to say that the recession is completely behind us. But according to the U.S. Bureau of Labor Statistics, the month of January saw 15,000 more jobs available in Greater Louisville than during the same month of the previous year. As reported in the Courier-Journal, Louisville and Southern Indiana have added jobs each month since last May. This job growth has led prospective home buyers back into the market at a time when they can purchase a home for a price far lower than they would have been able to a few years ago. Another indicator of the renewed health of the housing market is the number of permits home builders request. When builders anticipate a depressed market, few permits are requested because builders don’t want to sit on inventory they can’t move. This February though, builders requested 5 percent more permits for new construction, and the overall rate of permit requests is now at its highest point since late 2008. All of this data means that both outside the doors of our homes and inside the offices that help us purchase them, spring has truly sprung! Spring is traditionally the prime home shopping season, so this year prospective buyers are in prime position to make the most of their investment as home prices today are still significantly lower than they were when the housing bubble burst. They say that a person’s eyes are "the windows to the soul," but what about the windows themselves? Surely, windows are the very soul of a home as they connect inside and outside into one harmonious whole. Without them, we would feel far too enclosed, perhaps even trapped. The windows in our Louisville homes unite us with nature, each other, and the rest of the world. As Derby City residents are now throwing open the sashes to let the spring sunshine and warm breezes in, they’re also making some clever changes to their window treatments in ways that lift the soul of home and homeowner alike. Gone are the days of heavy valences and cornices with layer upon layer of fabric used to make a statement. This season, light, soft, and simple is definitely "in" when it comes to decorating windows. A few simple and inexpensive updates can make a world of difference. • Get rid of your old three-inch thick wooden rods with their huge drapery rings. Replacing them with thin rods freshens up the look. 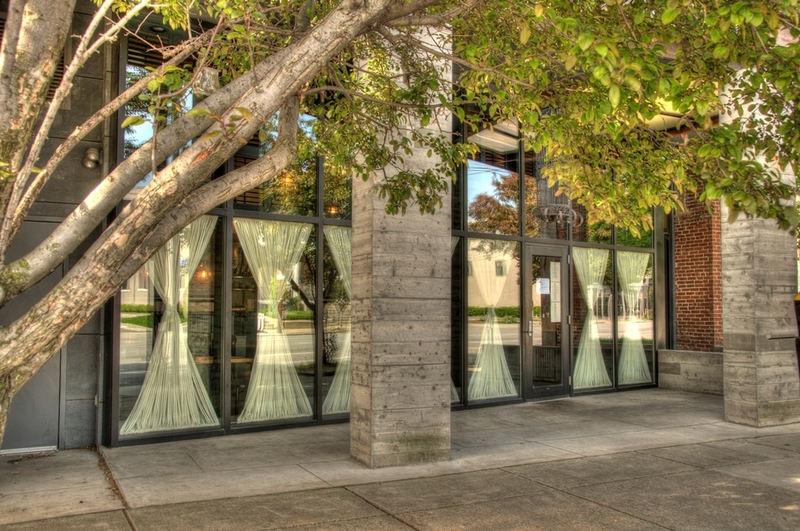 • Instead of heavy fabrics, try sheer curtains. Their light, gauzy look – especially when a gentle breeze blows through – is the perfect accent for conveying a sense of lightness and ease. If you’re worried about privacy, just add a thin cotton lining to the sheers. • Consider saving money while enhancing style by purchasing pre-packaged panels that you can have lined by a seamstress. Have them cut to a length that will very lightly touch the floor. • When it comes to patterns in window fabrics, less is definitely more. Using all one color or a tone-on-tone pattern are more stylish today than the bold, dramatic look of the past. If you are concerned that a solid color might be too boring in your room, try livening things up through texture rather than color. Panels in a rougher linen fabric add extra some extra dimension that flat cotton alone doesn’t have. Louisville homes are looking light and airy this spring, and not just because of the great weather or a fresh coat of paint. By updating how we adorn our windows, we’re lightening not only the "soul" of our homes but our own spirits as well.